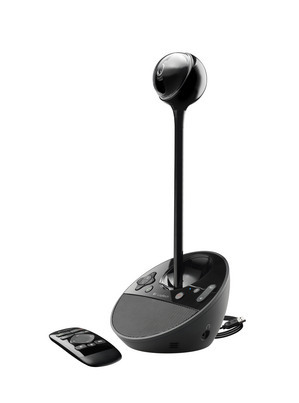 We have a Logitech Business BCC950 Conference Cam up for grabs. Logitech claims that its ConferenceCam bridges the “small meeting gap” in the market. It accommodates groups of 3-4 people without them having to sit each other’s laps. This removes the need for a large scale meeting room video system which can be very costly. It is also surprisingly light; weighing 568g it can easily be picked up and taken into a meeting room. Additionally, this device would suit home workers, enabling employees to have meetings using software such as Skype in full HD clarity. This competition is open to all UK residents aged 18 or over except for employees of TechTarget and Logitech and their immediate families. The competition closes on July 30th 2013 at midnight. Each participant can only enter the competition once. The prize will be awarded to the individual that comes up with the best caption for the photograph. The winner will be chosen by ComputerWeekly.com. Entering the competition is free. No purchase is necessary. The ComputerWeekly.com’s decision is final and no correspondence will be entered into. The name of the winners will be posted on Inspect-a-Gadget and will be contacted by email within 30 days of the competition deadline. All email notifications will be sent to the email address provided by participant entering the competition. The participant must respond to email notification within 14 days of the email notification. Unclaimed prizes will be forfeited and a new winner will be chosen. Entrants can contact ComputerWeekly.com with any questions at the following email address: cbaldwin@techtarget.com with the subject of the email ‘Logitech COMPETITION.’ But all competition entries must be submitted via commenting on the blog post. 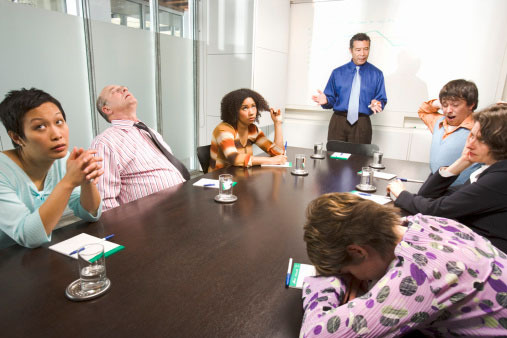 David thought he'd show his employees the true meaning of a bored meeting. At last, something the engineers and change managers could agree on: Mike should never be allowed to present at the departmental meeting ever again. BOOM! We knocked it out of the Park this time. Come on team. Who's with me? BOOM!